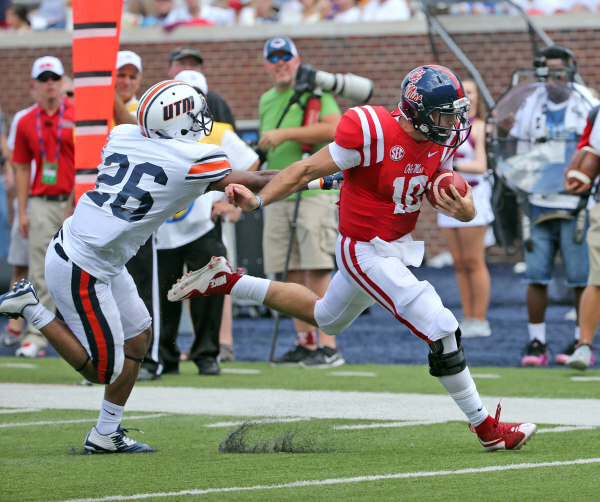 In the 2015 season opener, the Rebels have debuted a couple of uniform changes. 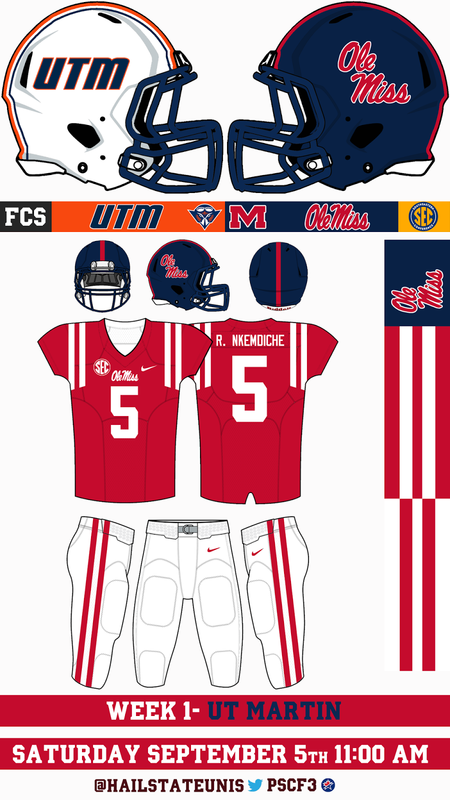 Most notably, a new pair of white pants have been added, with a red swoosh and a double red stripe on the side. Probably to be used strictly with the red and red accented jerseys, the new pants continue the trend of red and navy not being used together. The other change also continue this trend: the SEC patch on the red jerseys has been changed from navy to red. 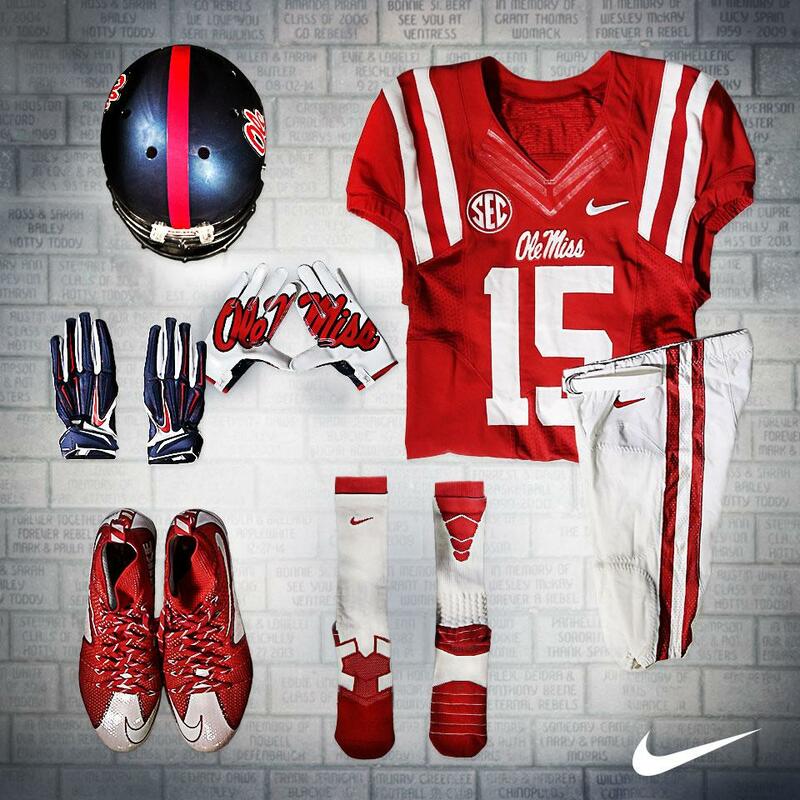 These two changes combine to eliminate navy from the Rebels' uni combo for today outside of the helmet.